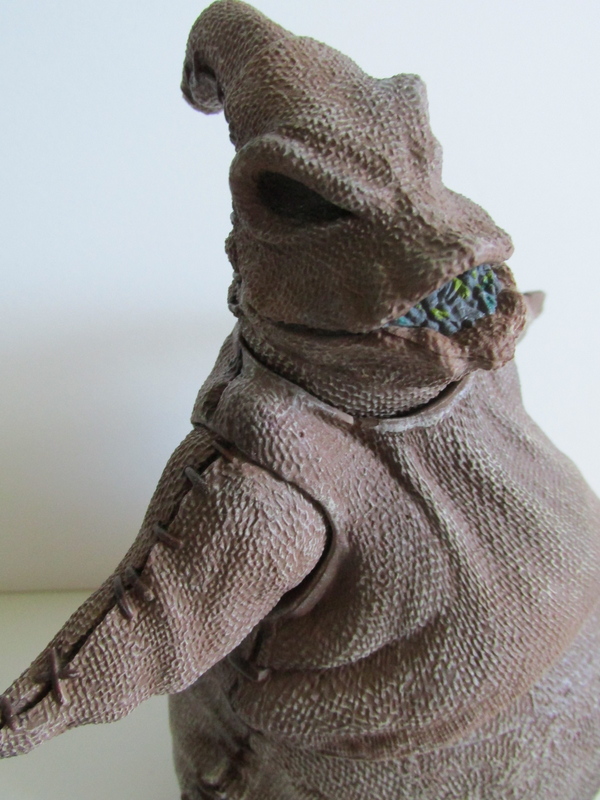 Oogie Boogie drops just in time for Halloween with Diamond Select's latest Nightmare Before Christmas release. 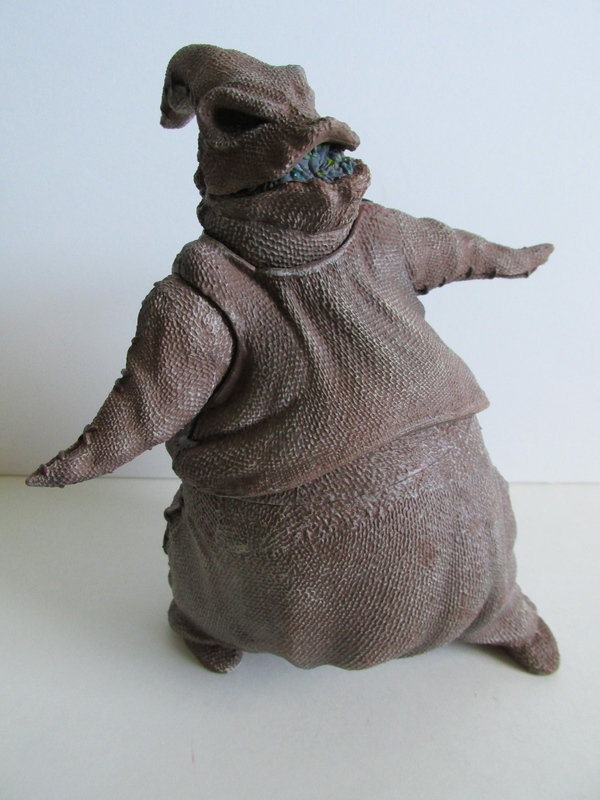 This is the first of a planned series of action figures Diamond Select will be offering in the future. 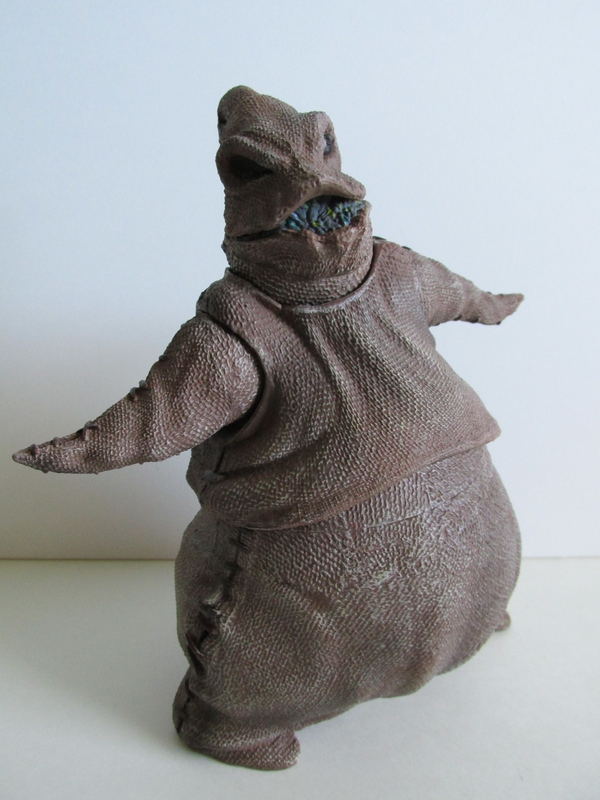 Oogie comes from the wave 1 release along side Jack Skellington and Sally. 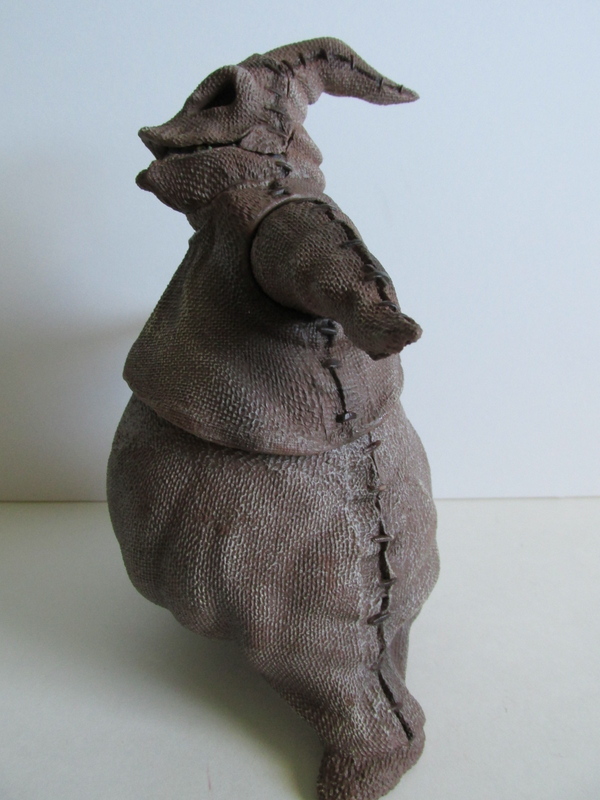 Sadly, Jack and Sally were not available at the time of this writing, but I feel they will be coming very soon. The package for Oogie is in a clamshell box, but it comes reinforced with tape and even a zip tie to keep the package together. Shockingly, this figure is pretty heavy for your standard action figure and wouldn't last long in a basic clamshell package. 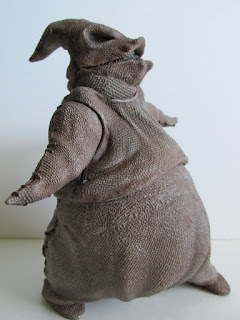 Articulation wise he doesn't have too much happening mostly because he's got a big tummy and his limbs are stubby. 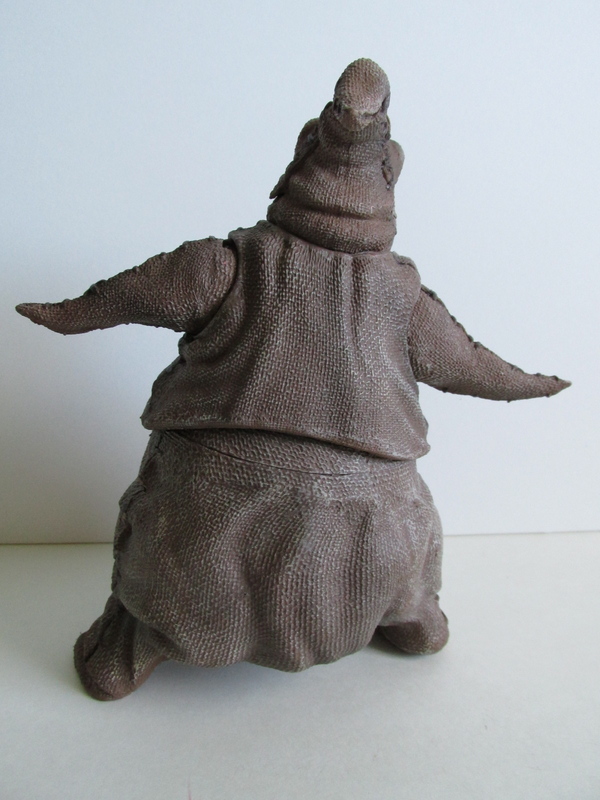 His feet come in a fixed slant pose so the figure will always be slightly leaning, but because of his weight the figure can stand on its on two feet without any base or support. I can't foresee this figure giving in under its own weight in the future simply because the bottom portion of the figure is solid plastic. 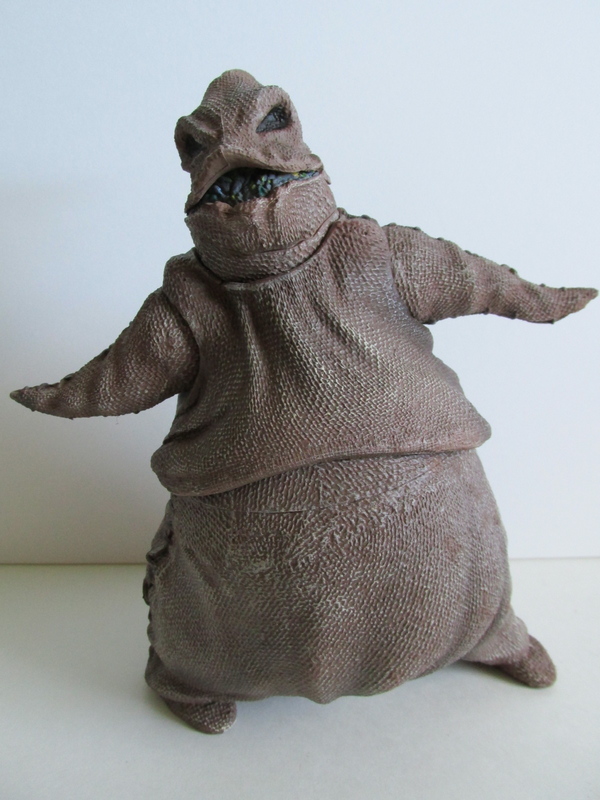 Oogie gets most of his articulation from his torso which can move left and right. His head however can move slightly right and left and is hindered by his sculpted shoulders. 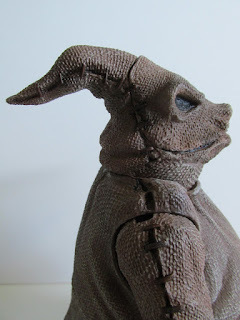 His arms also can move ever so slightly and again mostly because of how this figure and character are styled. Articulation though isn't the reason to buy this figure especially if you are an Oogie Boogie fan. Most of the fun of this figure comes from just having a cool set piece. Oogie does not come with any accessories unlike his Jack and Sally which will have some accessories. 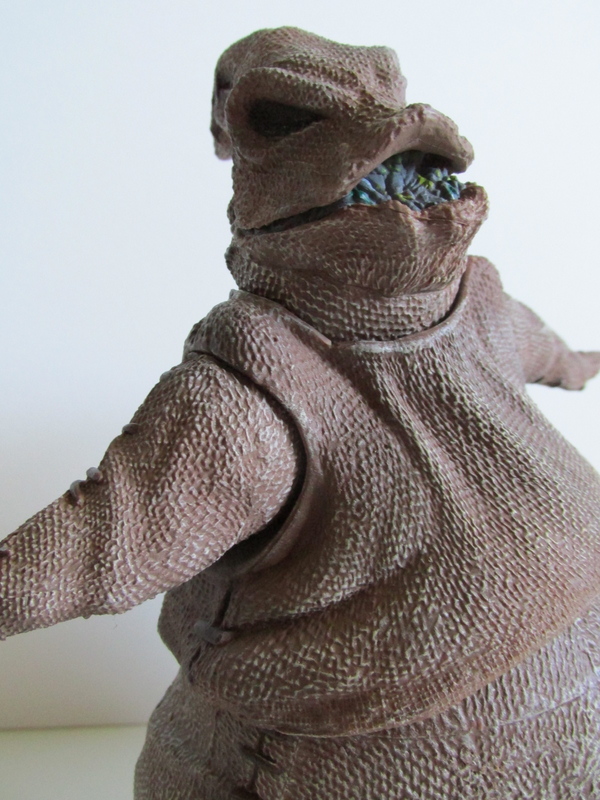 The only thing Oogie can do is take off his face to reveal bugs. It takes a little bit of wiggling to get the face off, but it's an okay feature. It would have been nice to have a talking feature or maybe even a switch out hand with dice in them, but its not the end of the world. Size comparison wise he's taller than a Jack Skellington Disney Infinity figure and is several inches short compared to a 12 inch Disney Vinylmation figure. I have to question his paint app choice. 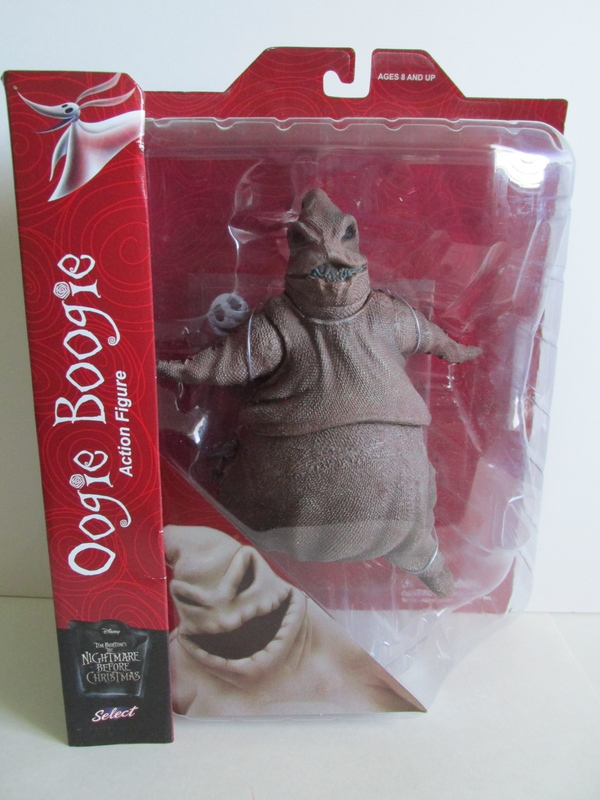 In hand, the figure is much darker than prior Oogie products released. This isn't too much of a huge hang up, but I was a bit amazed how dark he is. 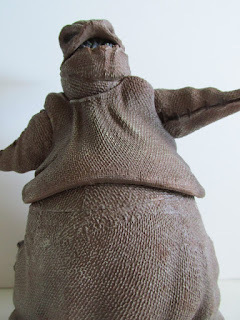 If you pay attention though, you will notice Oogie's color seems to be tan, light brown, or green depending on the type of merchandise so somehow I guess he got more of the dark tan spectrum. I do like this figure, but it would have been better to just call him a statue since he's more of an unaction figure. 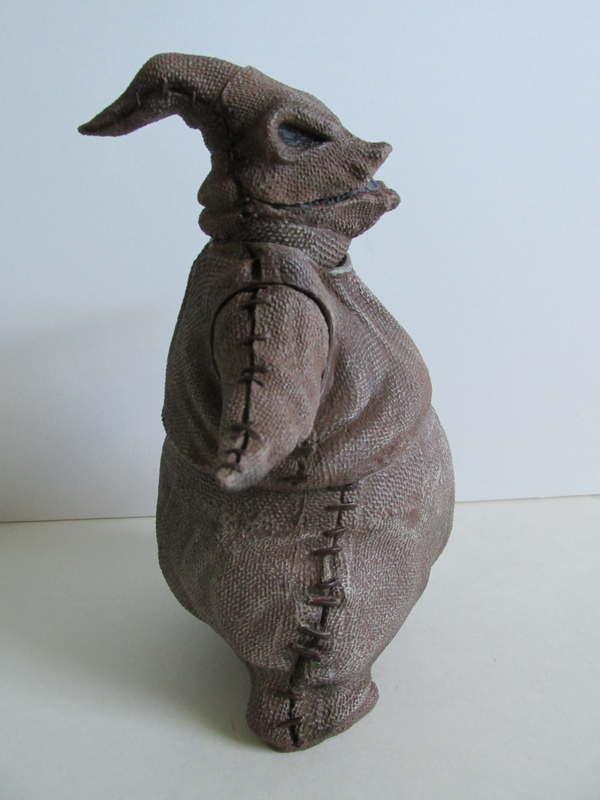 I will say though the level of detail on him is great, and this makes me more excited for Jack, Sally, and other future releases from this line. You can purchase the individual figure here!